I came up with this one for Riley's birthday, and it has been a really big hit. It is so so easy to make. 7 inch (18 cm) tart pan, or whatever you have that will work, as this is not a large tart. 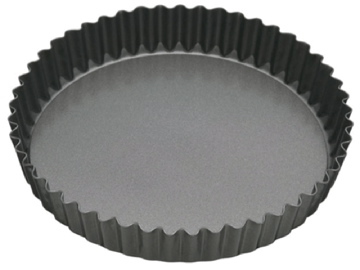 I have these wonderful British fluted loose bottomed metal tart pans that I think are made by a company called Master Class. Roll out the pastry thinly on waxed paper, and place carefully into the tart pan. Combine eggs, sugar, cream, juices, and zests, mixing well, and pour into the shell. Mix the cream and sugar and whip with electric mixer until stiff. Add the vanilla. 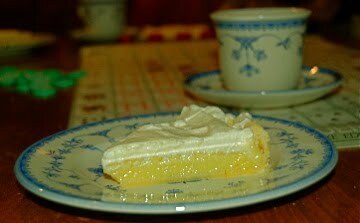 Put the whipped cream onto the cooled lemon tart. The whipped cream is optional. Instead you could leave plain or dust with icing sugar. I made two for Easter dinner, and when dinner was over I was able to perfectly combine the left-overs. The one with whipped cream was the most popular.